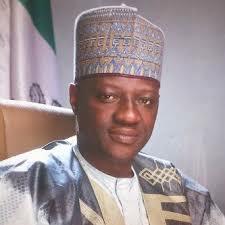 Kwara South monarchs endorse Governor Abdulfatah Ahmed for Senate – Royal Times of Nigeria. The Olusin of Isanlu Isin, Oba Solomon Oloyede, the Olosi of Osi, Oba Abdulkareem Adesofegbe and the Alofa of Ilofa, Oba Samuel Dada in Ekiti have endorsed the Kwara State Governor, Alhaji Abdulfatah Ahmed for Kwara South Senatorial Seat. The monarchs gave the endorsement at their respective palaces when they individually received the Governor during his consultative tour of Kwara South. 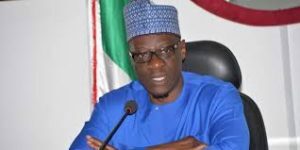 They submitted that the Governor’s achievements in Kwara South will earn him the party’s ticket and emerge as Senator representing Kwara South senatorial district. The Olusin of Isanlu Isin said the governor has demonstrated the capacity to represent Kwara South at the Senate with numerous developmental projects in the local government, saying that all royal fathers across Isin towns have concluded to support his senatorial bid. Speaking during the visits, governor Ahmed explained that his decision to contest for the Kwara South Senatorial seat is to bring his experience to bear to attract federal presence to Kwara South. He appealed to the people of the state to support the Peoples Democratic Party (PDP) in salvaging the economy and uniting the country. He urged the people to reject nocturnal politicians who only returned home to deceive the people during the elections. Governor Ahmed also thanked royal fathers in Kwara South for standing by his administration and for sustainable peace in their respective domains.